The Design Miami/ Visionary Award celebrates those who have significantly contributed to the field of design, such as designers, curators, architects, and luminaries who influence and are engaged in design in the broadest sense. The laureate of the award is recognized as having a continued, tangible, and lasting impact. 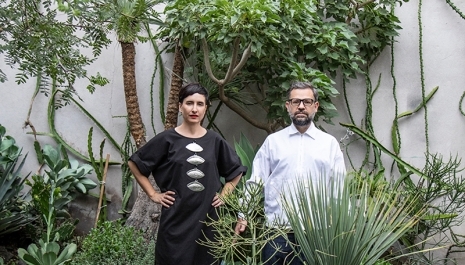 This year, the award is presented to contemporary artist Pedro Reyes and fashion designer Carla Fernández. Pedro and Carla will present a collaborative exhibition at Design Miami/ 2018 as well as design the graphic identity for the fair. The 2018 Design Visionary Award is co presented by Design Miami’s official university partner, Savannah College of Art and Design (SCAD). Read more here. This award changed in name in 2013, from the former Design Miami/ Designer of the Year Award to the current Design Miami/ Visionary Award.